The Embassy of India in Jakarta organized a commemorative event on 31 October 2018 to mark the 143rd birth anniversary of eminent statesman and India’s first Home Minister Sardar Vallabhbhai Patel. The birth anniversary of Sardar Vallabhbhai Patel is also observed as “National Unity Day” or “Rashtriya Ekta Diwas”. The event began with the floral tributes being offered to Sardar Vallabhbhai Patel by H.E. Ambassador Pradeep Kumar Rawat. Later, attending participants jointly read out the “Rashtriya Ekta Diwas Pledge”. 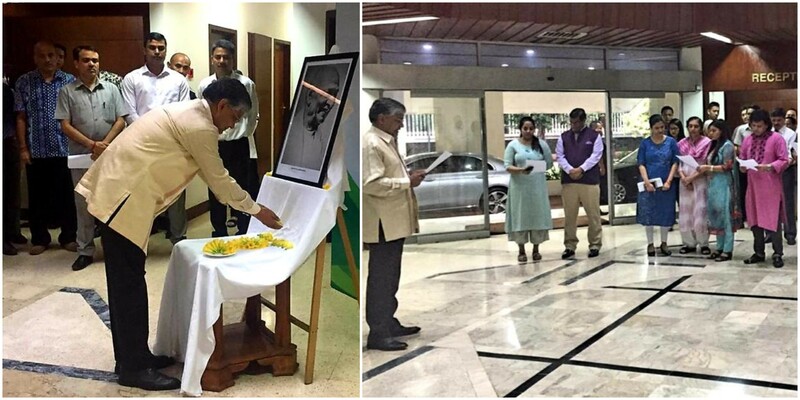 A special photo exhibition depicting scenes from the life of Sardar Vallabhbhai Patel was also organized at this occasion.